That time of the month isn't usually something I tend to look forward to (ironic, as from about age 11 I couldn't wait for it to start! ), but I was genuinely excited while waiting for my first Pink Parcel* box to arrive. This subscription service provides a selection of women's products tailored to you, plus some special goodies and beauty treats to make you feel a bit better during that miserable time. And the best part is that the box's arrival is synched with your cycle so you always have something to look forward to while Aunt Flo is on her way! The Pink Parcel is £9.95 per month, and the first box is currently just £5.95. The wide box grey and light pink was waiting for me behind a plant pot (thanks postman) and I was intrigued to see what I'd find inside. The first thing I came across was a little black cloth bag marked 'for now' containing four multicoloured and compact tampons to slip in my bag in preparation for 'the arrival'. I'm not sure if this is included in all boxes or only the first box of the subscription, but I really like the idea and it definitely beats having having random tampons floating about in the bottom of my bag! The next part of the parcel was a stack of two flat grey boxes marked with 'for later'. These contained more tampons of varying absorbencies and each box contains 25 tampons in all. The ones I received are Kotex U, which are new to UK and feature a pretty snazzily designed applicator, along with cheerfully coloured outer packaging which is small and discreet. On the Pink Parcel subscription page you can not only choose between different brands- Tampax, Kotex and Lil-Lets (non applicator), but you can also choose between individual or multi absorbencies so the box is suited to your own flow type. You also don't have to purchase an ongoing subscription- instead you can decide on a one-off box or you could even send one to a friend as a little surprise. On to the final part of the parcel that I know you're probably most excited about- the 'for you' box! Marked with 'a little something to cheer you up', this is the box that I'd leave to delve into when I was groaning, hugging a cushion and wishing a slow death to any many or beast that happened to annoy me even a little bit. Inside I found three full sized beauty products, a little bar of vegan chocolate, a lovely caffeine free fruit tea bag and a little voucher for a free glass of bubbly at Cafe Rouge! Seeing this on a grey September afternoon definitely did cheer me up! I was very surprised on trying this moisturiser to find out that it's green! I use a few Witch products regularly but I haven't come across this one before, and it's designed to fight blemishes with antibacterial and astringent Witch Hazel while balancing redness with its green tint. Only a small amount of the cream is needed (otherwise you do tend to look a little green skinned and ill) but it sinks in very easily and provides a small amount of evening of the skintone. My skin really likes witch hazel and I don't need a thick moisturiser as it's also oily, so this product has now found its way into my daily routine and I will report back soon. This is a much hyped product that claims to smooth and perfect in only 5 seconds, blurring wrinkles, shine and pores to create a smooth and diffused base. I was really excited to try this prime, and it's very silky on the skin. 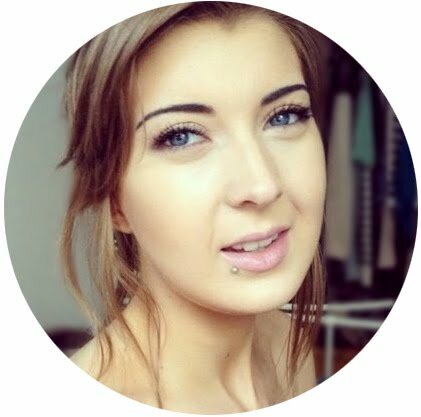 It really does provide a blurring effect, but I think I used the wrong amount as when I tried this on my nose my makeup had disappeared after just a few hours. 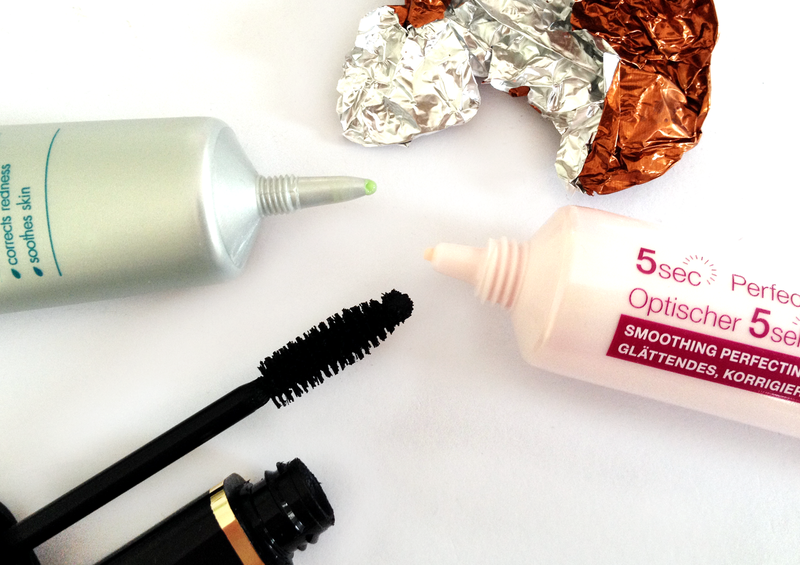 I've only given it a go once so this primer will be put to the test, as lord knows my face needs some blurring! This mascara comes in a long heavy tube which definitely makes it feel high end and I was pleased to see a bristle brush instead of a fancy shaped rubber one. This gives really natural length and definition to the lashes and is easily layered (although doesn't give that much volume on its own) and it stays put really well without much flaking. This is also very easily removed with just plain water, which makes a nice change to the effort of having to remove waterproof formulas, but also means that wearing it on rainy winter days will be a no-no! I haven't come across this brand before but if its chocolate and dairy free too then it will be in my mouth pronto! In all honestly the paper wrapper is empty in the above photo as I scoffed this right away, whoops! It was really nice though- soft, sweet not bitter, and had little crunchy bits in which was a nice surprise, will definitely be purchasing! I don't drink normal tea so a warm cup of something herby or fuity before bed is where it's at. I find a lot of fruit teas can be a bit weak but this one is lovely and fruity, and I really want to get a box as an alternative to sugar filled berry squash. 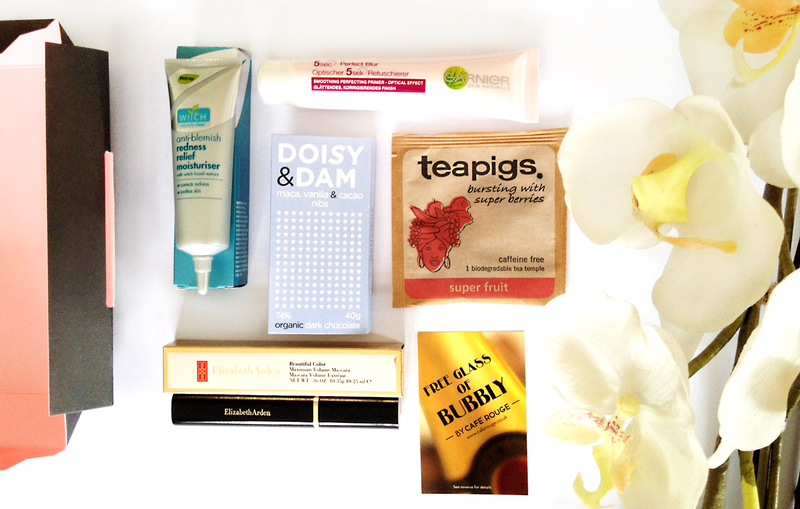 I'm sure you can tell I'm really pleased and impressed with this month's box- it contains products that I'm guaranteed to use, along with full size samples from some well known beauty brands and a couple of extra treats too. I think the presentation is very classy but has a good mix of fun without feeling like it's aimed at teenagers. 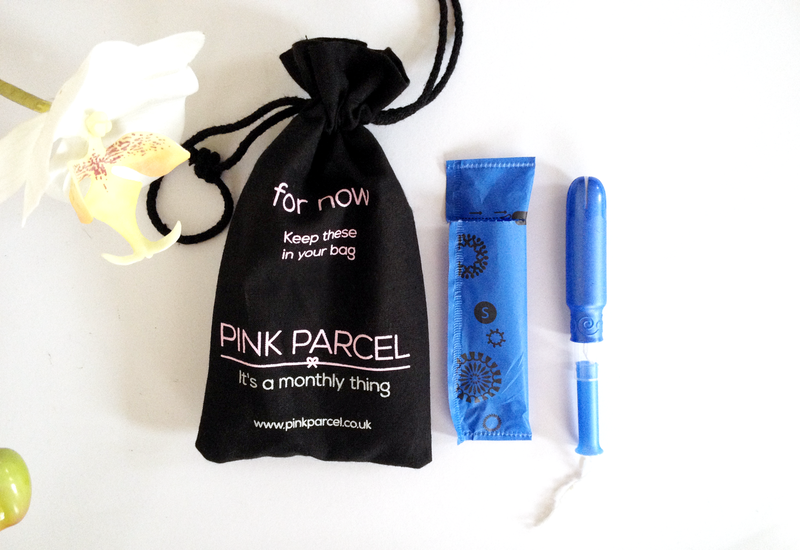 Pink Parcel have plans to include sanitary towels as well as tampons in the near future, and my only complaint would be that they don't have a 100% cotton option as I know quite a few people who won't use anything else. 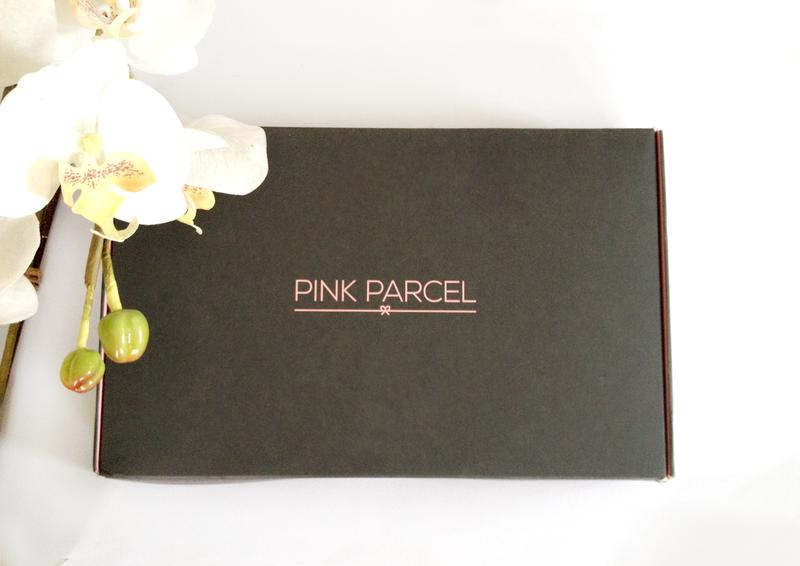 If you're into subscription boxes, want to try something new, or just need a bit of cheering up each month then I would definitely suggest taking a look at Pink Parcel!